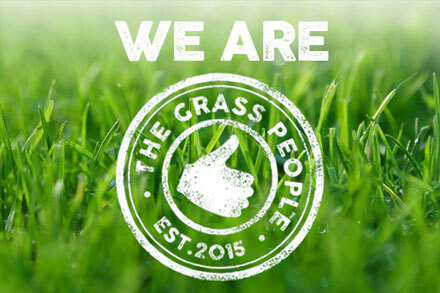 Who are The Grass People we hear you ask…. We just love grass and believe great grass should be celebrated. That was the inspiration behind the creation of The Grass People. We exist not just to bring you top notch grass seed (which is lab tested) but to equip you with the knowledge to get the very best out of your seed. We keep things simple on our website as we believe quality is and should be simple. You can browse our 6 amenity categories, all you have to do is click through and find the right product for you. Great grass seed is only part of the story. That’s why we have created an easy steps help and advice section that will give you the Know How you need to achieve the finish you’ve always wanted. You can also check out our blog with practical advice and seasonal tips from The Grass People. We’ll be posting something new at least once a week and would love your feedback. If social is your thing you can catch up with us on Facebook, Twitter, Instagram and YouTube where we’ll be sharing all sorts of interesting things. Sowing seed can be easy. All you need is a little Know How and Grow How to help you get better results. So welcome to our site, buy some great seed, start sowing, and enjoy the results!